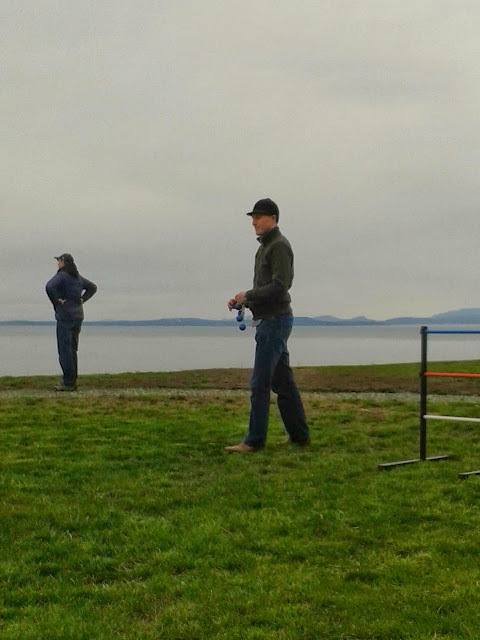 West coast update - on Widby Island and playing Ladder Ball. RJB experimenting with a hitherto unseen technique he has dubbed Chinese Penguin (aka cupping the balls). Actually being quite successful and beating locals. Please note the old style riding hat being modelled by RJB and the fact that he is struggling having put his boxers on back to front this am.